This is the story as told by the serpent of the garden. A serpent whose skin sheds and begins anew and who can swallow its tail creating the infinite circle of life which is the beginning and not the beginning, the between and not the between, and the end as all things go back to the earth. The serpent is the keeper of the psyche as she resides in the place underneath in the darkness where the magic of life happens. In the beginning, there was woman. She was good and blithe. Everything in the world was hers to enjoy. There were animals of all types, and flora to behold in the most vibrant of colors. She wanted for nothing. One day, while she was wandering through the garden eating succulent fruit and talking with the animals (as all things on earth spoke the same language), she pondered what it would be like to have a companion. She had no real need for one but thought it might be nice to have someone to share all that was. “Why not?” she asked aloud to no one but everything. In reply, each of the animals weighed in. The lioness opined that perhaps a mate would be a good thing and that she could have one too. This is where we get the term ‘pride’ of lions. It was due to the lioness’ pride in consulting with the first woman and wanting the same for herself. “Maybe,” said the owl “we should leave things as they are. We are all so content here in this beautiful garden. There is no strife, no need and we all live together in harmony.” This is where the term wise owl comes from as the owl’s consult was the truest and sagest of all. Well, the garden never heard such a chatter before and since but this is how females handle things. They talk them out, weigh in on each other’s opinions and after much debate and tears a decision is made, that is good for all. That night the woman dreamed. She dreamed she was in the garden of the goddess Psykhe where sits the place of betwixt and between. Here, matters of the soul are nurtured in the lush and fecund soil. This is where the soul delves deep beneath the noise to learn what is possible. Psykhe planted the seed of possibility in the woman’s head where it grew into a yew tree. As each branch spread and sprouted a new thread of the vision evolved. Here, the woman saw what could be manifest if her desire and belief were strong enough. Man claimed himself king of the garden. He began to dictate to woman. He began to name all of the animals and plants and call them his own. He made, with his god, the male of all the other species and war broke out among the beasts. He also declared that female came from male. She is the weaker of the two. She is man’s subject. Hierarchies began forming. Blood spilled. The earth shook and trembled and scorched all from its surface so it could begin anew. Woman was distraught. “What have I done?” she cried to no one but everything. While in her hour of angst, she was visited by a honeybee. The bee buzzed in her ear, “fear not as the goddess of betwixt and between is with you. This is but a possibility.” As the sun rose, woman rubbed her eyes and rose from her slumber. She breathed a sigh of relief as she was indeed back in her beautiful garden with her animal friends. Relieved as she was, she could not tear the dream from her mind. She could also not tear the feeling from her heart that she would like a companion. This is where we get the expression ‘a bee in your bonnet.’ Once you get an idea in your head that touches your soul you just cannot let it go. Woman went to the garden and while drinking from the clear, sweet water of the stream talked to the animals. Woman decided to make a sister to share her garden. In this way the others would not feel left out as something more than or other than was created for woman. The sister would take joy in all that was there in the garden and not try to own or name it. She would honor Psykhe for the wisdom she planted and for the place in between where possibilities are discovered. Woman understood that she, the earth and all life are not possessions, they just are. One day while sister was wandering through the gardens eating succulent fruit and talking with the animals, she pondered what it would be like to have a companion. The lioness consulted her and so did the owl giving her the same advice they gave woman before. That night, when sister closed her eyes to slumber, Psykhe planted the seed of possibility from the place of betwixt and between. Sister tossed and turned in her sleep as her dream was disturbing to her soul. When she awoke, she washed her face in the clear water and began to conceive man. Because of desire, sister ignored the portent from her dream. She created a man who fulfilled the prophecy of the goddess. The seed planted in her mind that grew into a yew and spread its roots to the pit of her stomach to warn her of what is good or not good was left to shrivel and die. Earth and woman were possessed – they were forced to serve man. All things including man began to speak different languages. No one could communicate. Woman and sister cried out to no one and to everyone but they were not heard. Even among sisters, they could not communicate anymore. Woman was cut off and alone. 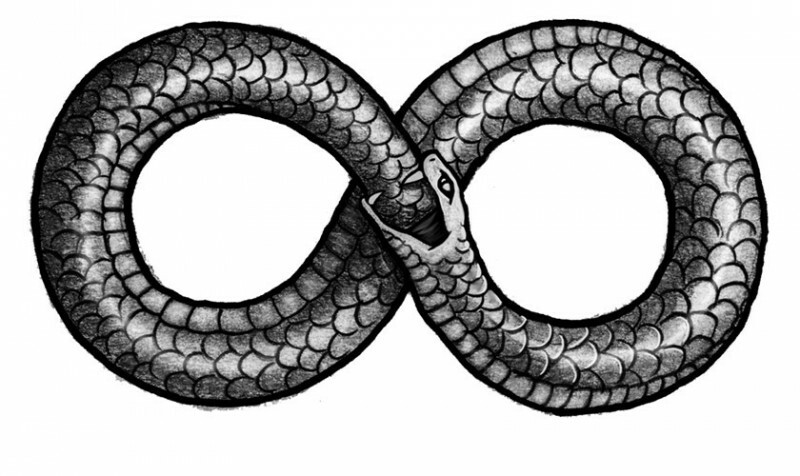 The snake of between who guards the psyche was labeled as evil and forced to remain in the beneath. All of life was in jeopardy due to ego, the god of man. This is a lesson to all women to heed her psyche when she speaks in her dreams for the goddess is time and not time, and knows all that can be. She is the seed, the yew, the beginning and not the beginning, the between and not the between and the end. Now it comes to pass, one man in particular ,with his inflated sense of self and out of control ego leads us into jeopardy. Women are the only hope as the saviours of humanity ! Thank you. I hope soon that women begin to understand that only in unity can we make a change including the masculine, as one is not true without the other. That means so much coming from someone with such strong sister bonds both in blood and in friendship. Awesome. Just awesome. So proud of you.